A list of 10 things that a Yeti 30 oz Tumbler would be great for. 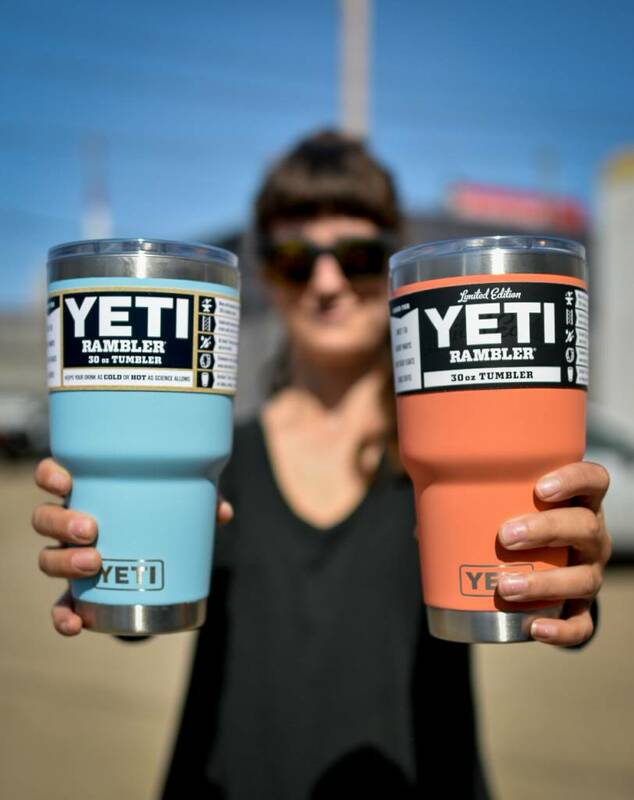 I'm not sure why so many people are scared of the size of the Yeti 30 oz Rambler. Despite it's large size, it still fits in a cupholder and fits quite comfortably in your hands, plus it holds sooo much stuff. The Yeti 30 oz Rambler is not too big, in fact it is the perfect size. So in an effort to make people realize the truth, I have compiled a list of all the things I can think of that would do quite well in the 30 oz rambler. 1. So much Slurpee. You can take this baby right into your local 7-11 and fill it to the brim. Think of all the plastic you're going to save! 3. Milkshakes. Even the fancy ones with donuts on top. 4. Two cans of whatever your drink of choice is. 5. Sangria, for the weekends. 6. Margaritas, for the weekends too right? 7. A lot of coffee. 8. A lot of any beverage really..
10. some sort of grassy, kale-filled smoothie, because after all the previous items you're going to need something cleansing, and not guilt inducing. So there you go. There's ten things you can use your Yeti 30 oz for, and that's just the cold stuff, because it's Summer and these are all the things that matter right now. And sure, you could use the 20 oz Rambler for all these things, but you can fit more in the 30 oz.